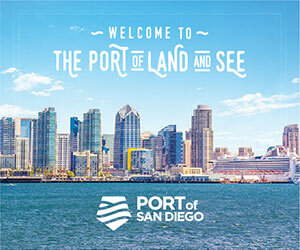 Cunard today unveiled its "Oceans of Discovery" voyage program featuring sailings from November 2019 through April 2020. The Queen Mary 2 along with Queen Elizabeth and Queen Victoria will call at 123 destinations in 48 different countries, including 10 maiden calls in Japan, Australia and Papua New Guinea, the company said. 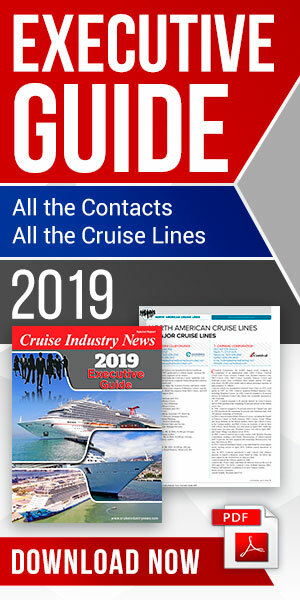 "Cunard's iconic three Queens will traverse the globe during our 2020 program," said Josh Leibowitz, senior vice president, Cunard North America. "These carefully curated itineraries offer extended time in port so guests have more time to explore each destination, including many overnight stays featuring two full days of exploration in cities such as Cape Town, Auckland and Buenos Aires." Itineraries range from a two-night cruise to a world cruise spanning 113 nights. In 2020, Queen Mary 2 will offer the company's world cruise, lasting between 99 and 113 nights. The ship will sail her classic East-West Voyage to Australia and Asia, including the Mediterranean, Arabian Gulf, Indian Ocean and Southern Africa. The world trip can be taken as a round-trip from either New York (113 nights) or London (99 nights). Shorter voyage options range in length from one-to-three weeks and can be combined in many ways allowing guests to create the ideal travel experience to the iconic cities of their choice. The beginning of the voyage is routed via the Mediterranean Sea and Suez Canal to the Arabian Gulf and across the Indian Ocean, entering Asia via the Malacca Straits. From there Queen Mary 2 will head north via Vietnam to Hong Kong before heading south to Australia. The final leg of the voyage is the return to London from Australia, which is routed via South Africa. The voyage includes more overnight stays than in any of Queen Mary 2's world voyages in the past 10 years, said Cunard. In December 2019 and the first half of 2020, the Queen Elizabeth will offer a series of round-trip voyages from international ports with deeper, richer and more regionally-focused itineraries, the company said. The Queen Elizabeth will operate six round-trip voyages from Melbourne and two from Sydney, covering the popular regions of South Australia, Tasmania and New Zealand as well as a new itinerary that features Papua New Guinea with maiden calls in Conflict Island and Kiriwina. The ship will offer multiple sailings in Japan, making five maiden calls to Japanese ports in 2020. The Queen Victoria's winter deployment consists of a series of European departures in November and December 2019, followed by a winter escape round-trip experience to South America that offers a mix of relaxation and exploration. The ship will offer longer stays in ports such as Rio de Janeiro and Buenos Aires, as well as overnights in Manaus, Rio de Janeiro, Buenos Aires, and Callao for guests to immerse themselves in the beauty and vibrancy that South America has to offer.